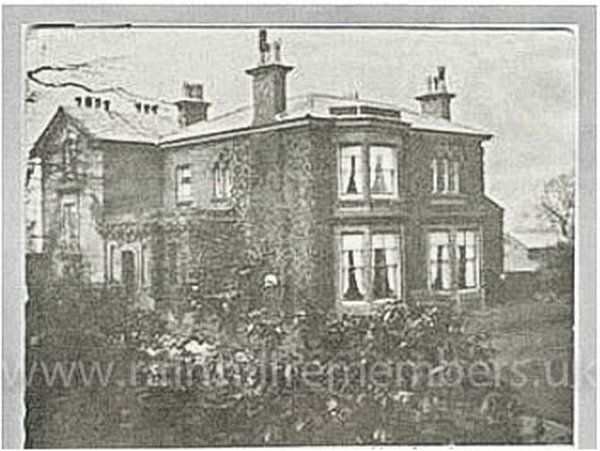 Henry Bromilow was the first son born to Henry and Editha Bromilow, who at the time of his birth were living at Greenbank, Lawton Road. He was educated at Eastbourne College. In January 1910 he married Joan Mesnard Melly at St Catherine’s, Liverpool and by 1911 they were living at Woodlands, Stapeley, Nantwich. They had a son named Henry Mesnard in November 1910. Henry joined the Lancashire Hussars Yeomanry becoming Major Bromilow in 1914 and joining the King’s Liverpool when the units amalgamated. Little is known of his WW1 career but during his lifetime he became Major of the Royal Lancaster Regiment, Major of the King’s Shropshire Light Infantry and Lieutenant Colonel of The Lancashire Hussars. He was the brother of John Nisbet Bromilow who was killed in WW1. Henry died on 3rd March 1972 in Shrewsbury. Greenbank, Lawton Road was the house that Henry Bromilow spent his early years before attending Eastbourne College.